We are currently working on improving our “Available Properties” section to make it quicker and easier for you to find a property which meets your requirements. We are confident that the improvements will result in a far better system, however, until these are all finished, you may experience some issues relating to the layout and appearance of this section. We are aware of these issues and hope to have them all rectified before the end of February. 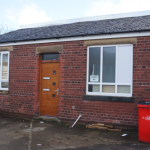 The unit is available at a rent of just £1.60 per sqft, and is ideal as a great value manufacturing setup for a small business – won’t stay empty for long. We currently have 1 x 20′ shipping container available to let on our site at Lower Healey Business Park in Chorley, and a further 2 due to arrive soon. 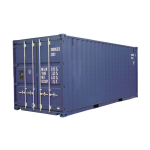 The containers are ideal for local trade mans and general storage, and are all clean, dry and in excellent condition. They are available to let on a month by month basic at £108.33 inclusive of VAT. Lower Healey Business Park offers full CCTV and electronic fob access, and the containers are accessible 24/7. 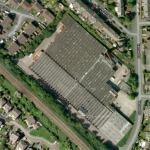 We currently have a newly available 5,000 sqft industrial unit to let on the popular Yarrow Business Centre in Chorley. Available on flexible terms, we are inviting offers around £80+VAT per week for the space. We are now able to confirm that National Grid have taken around 2.5 acres of yard space and buildings at our Keer Park site in Carnforth. They will be using the space for both an office facility and storage whilst doing some major infrastructure works in North Lancashire. The Keer Park site offers them both excellent security and value for money. If you are interested in taking some space at Keer Park, then please do not hesitate to contact us. 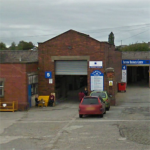 Screwfix have taken the 4,000 sqft unit on a long term agreement and we would like to take this opportunity to welcome them to Chorley, and wish them the best of luck with their new site. For more information on the Screwfix store please visit the Screwfix website. 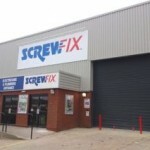 The unit which Screwfix have taken is half of the unit which was previously occuppied by Comet. We are still looking for a tenant on the remaining 4,000 sqft, so if you are interested please do not hesitate to contact us. We are currently making some major changes to our website. It will be fully back online on 10 January 2013.